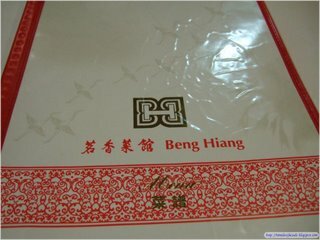 Decided to try some traditional Hokkien cuisine and where better to try it than the famous Beng Hiang Restaurant. 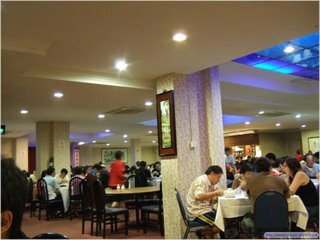 It is renowned for it's excellent culinary skills in Hokkien fare and it is no secret that even UOB's chairman and CEO, Mr Wee Cho Yaw, dines there frequently. We made a reservation for 2000hrs and got there about 5 mins late and believe me when I say this, the place was packed to the brim with people and the place had at least 40+ tables! Thank goodness we had a reservation. 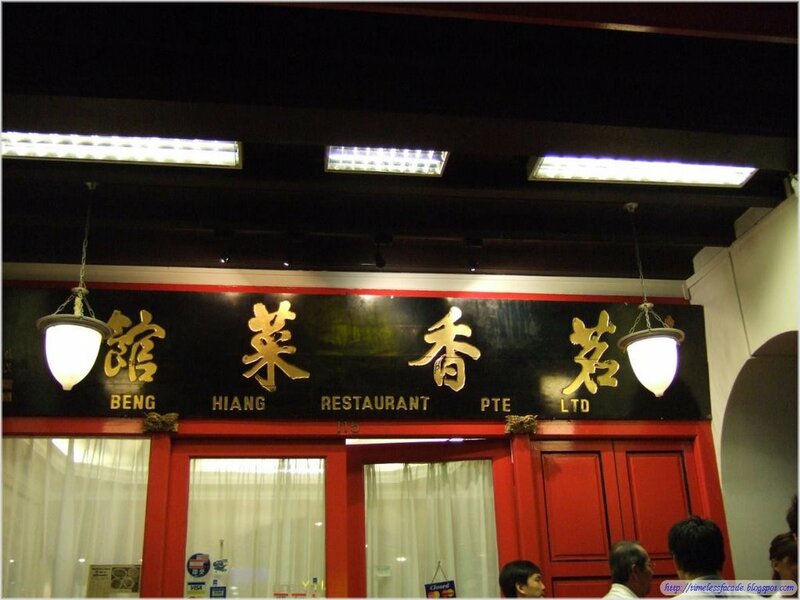 Our orders were taken promptly and we had most of their signature dishes, (We would have liked to try more, but our stomachs and pockets were constrained)which included - Ngo Hiang with Har Cho, Hokkien Mee, Oyster Omelette, Kong Ba Pao and Fish Maw Soup. The Ngo Hiang with Har Cho was very good. 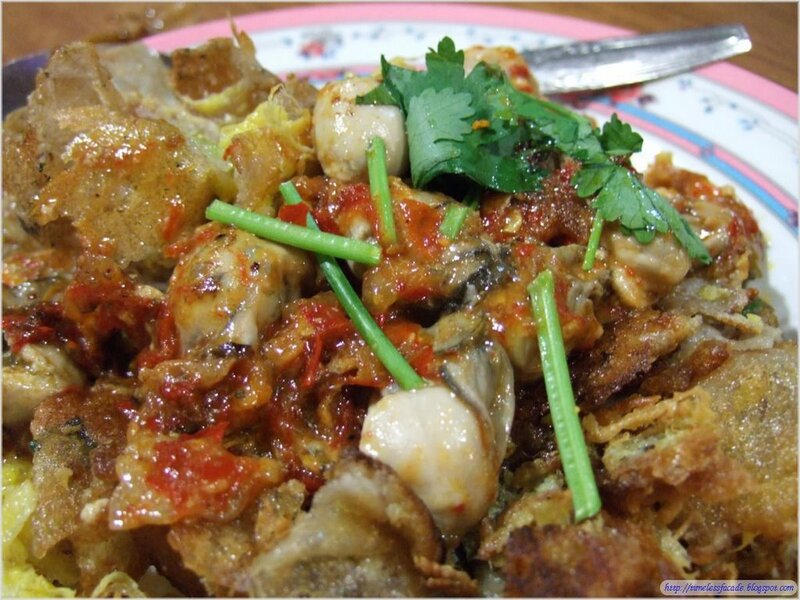 The Ngo Hiang was very cripsy and crunchy while the Har Cho was crispy and filled with shrimps. The Har Cho went well with the plum sauce provided. Very fresh with no taste of reused oil at all, unlike others that I have tried. 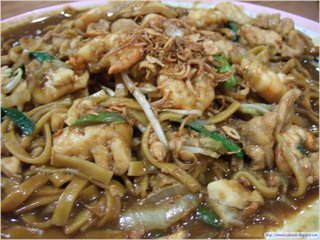 The Hokkien Mee was tasty with the gravy a little starchy and the Mee chewy and eggy. 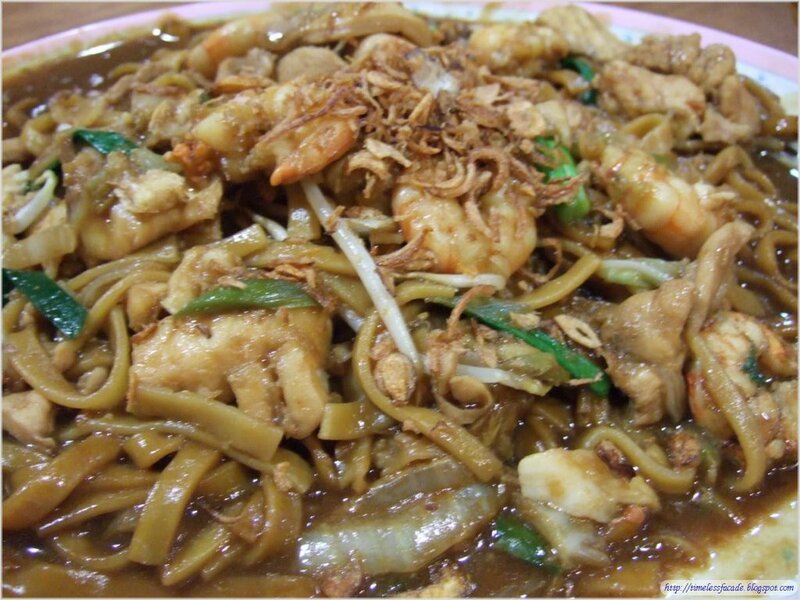 This is something different from the usual Hokkien Mee which is often very oily. Oyster Omelettes are usually soft, so it came as a surprise when the Oyster Omelette served was thin and crispy which was just heavenly. The oysters were also larger than the small ones you get outside. 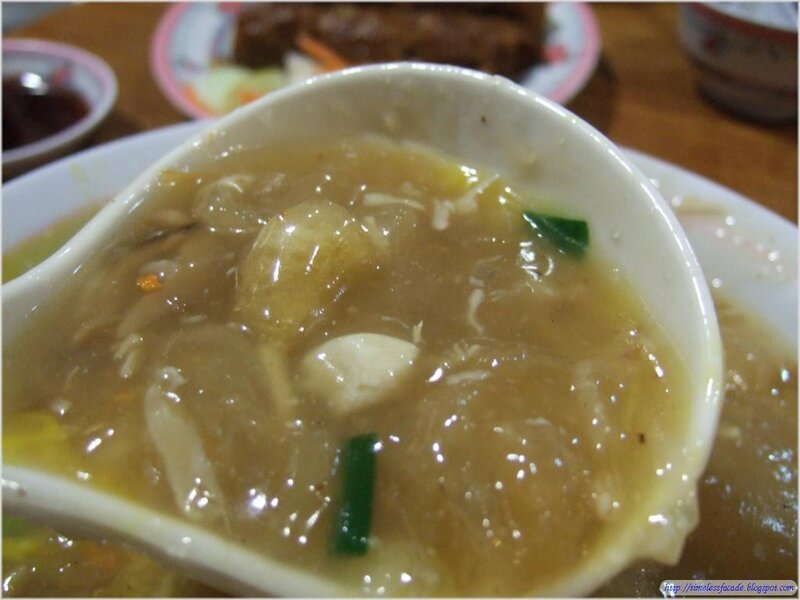 Delicious doesn't even begin to describe the Fish Maw Soup. It looked and tasted a little like sharks fin soup except that it had fish maw and egg in it. Thick, marginally starchy and full of flavour. This is one thing you definitely have to try. The Kong Ba Pao was also nicely done. 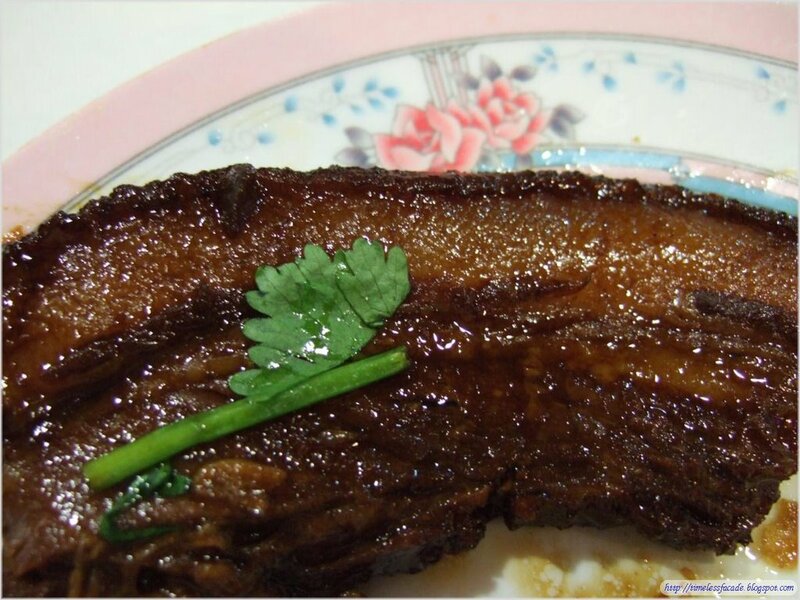 The Kong Ba was evenly layered and it was melt in your mouth kind of tender. I usually have reservations about eating such high cholesteral food, but now I'm a convert! Overall it cost us about $80 for 5 pax, which all of us unanimously agreed that it was worth the money and that the food was good. Don't bring your date for a romantic dinner though, because it's heck of a noisy there, unless the both of you are just looking for good food. 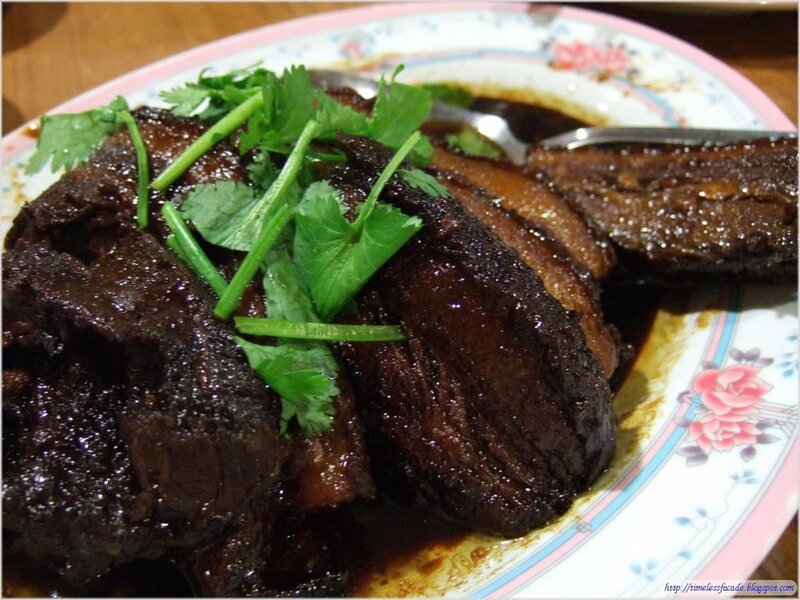 I will unbashedly declare that I'll be back to try the other dishes, namely the suckling pig. 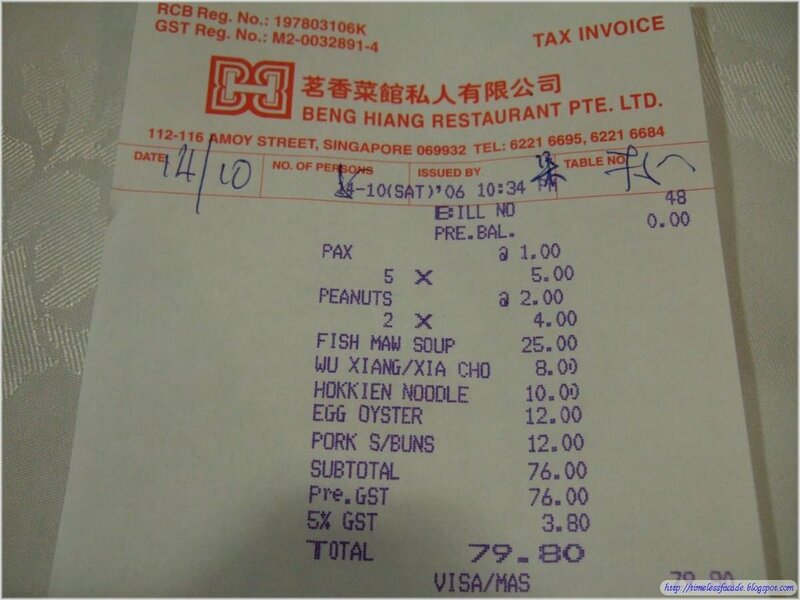 And oh yes, there's no service charge as well, which is a plus. Try this place out, you won't regret it. 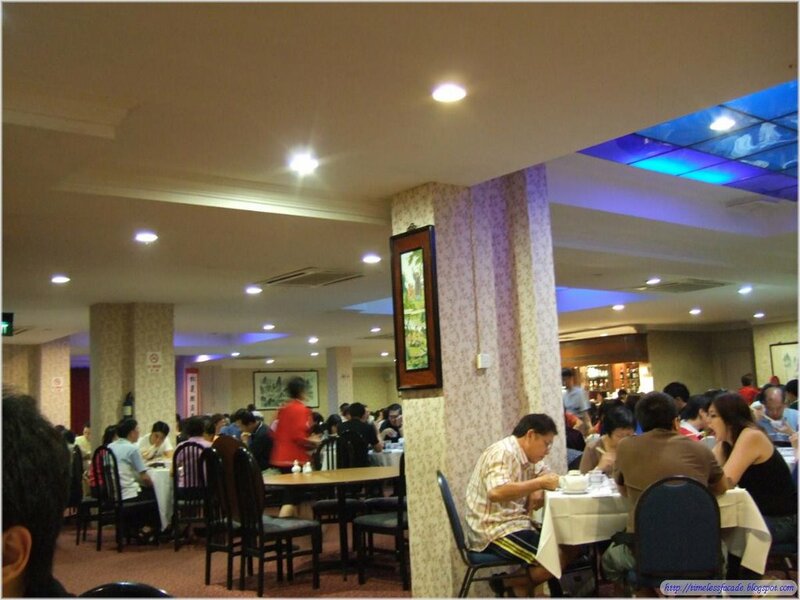 Address: 112-116 Amoy Street. Coupon parking available. Reservations recommended. Call 6221 6695 to reserve. 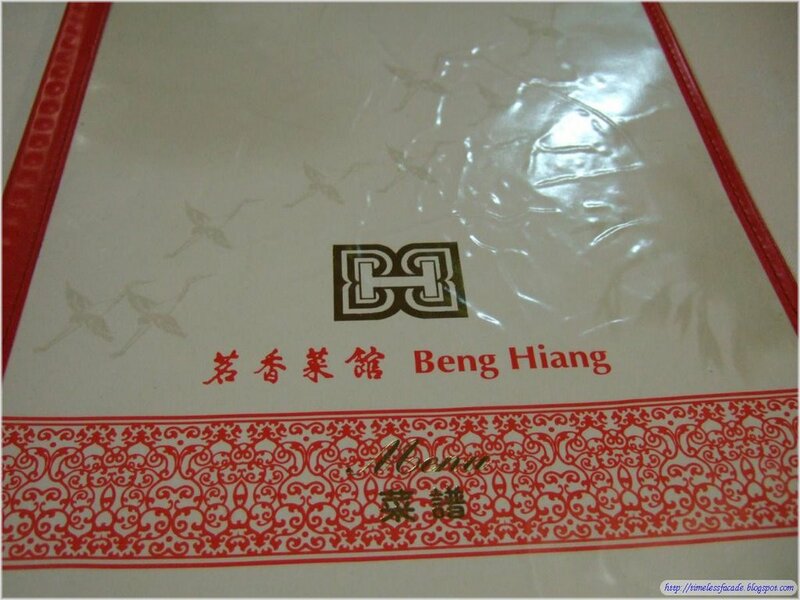 Hi, my wedding was held there and basically all the food in Beng Hiang is nice especially for the Hokkien folks. I would give 8/10 for the foods. 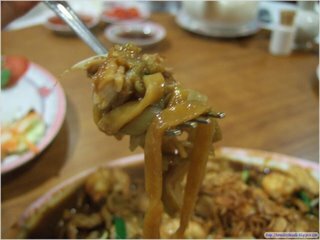 I juz went to try the food after seeing this blog. I booked a table at 1945hrs but seated down aound 1915hrs. My family of 9 ordered 10 dishes altogether but only manage to eat 09 dishes. 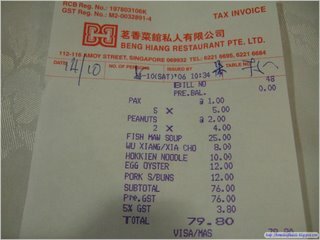 The hokkien mee really not advisable to order. 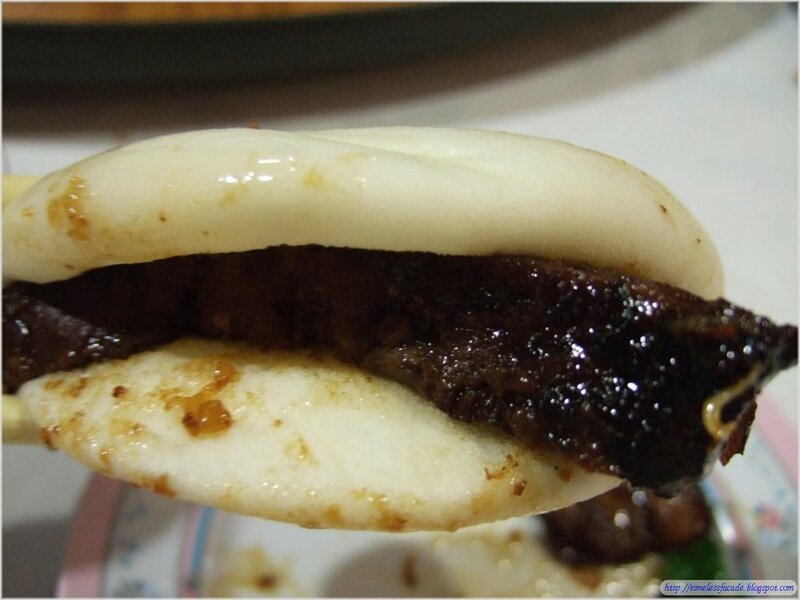 The meat bun is good, really melts in your mouth. 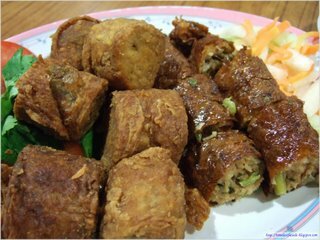 Pork Floss Fried Tofu, do not waste time on this. Tofu cut into triangle shape and deep fried plus putting some pork floss on it. I also tried the lychee fried chicken, crispy, real big lychee on the chicken, not too sweet, can try. The Pork ribs with the sweet and sour sauce, portion is big and the sauce just right, can try. Wu xiang/xia cho must eat, i love this especially with the sweet sauce. Fish Maw Soup, not everyone would like this and it is not really that powerful. Hongkong Kailan same standard from those coffee shop. Last is the oyster egg that i do not not have a chance to eat. i waited from the time i got in to 2100hrs and they told me still cooking because only 1 chef cooking that.The fact is they forgot all about my order and deny it all the way. if you really have a lot of time please try that. Thanks for the input! I would have kicked up a fuss if I were you if they forgot my order and denied it. this was a usual cny' gathering location for my family.. do try their suckling pig! 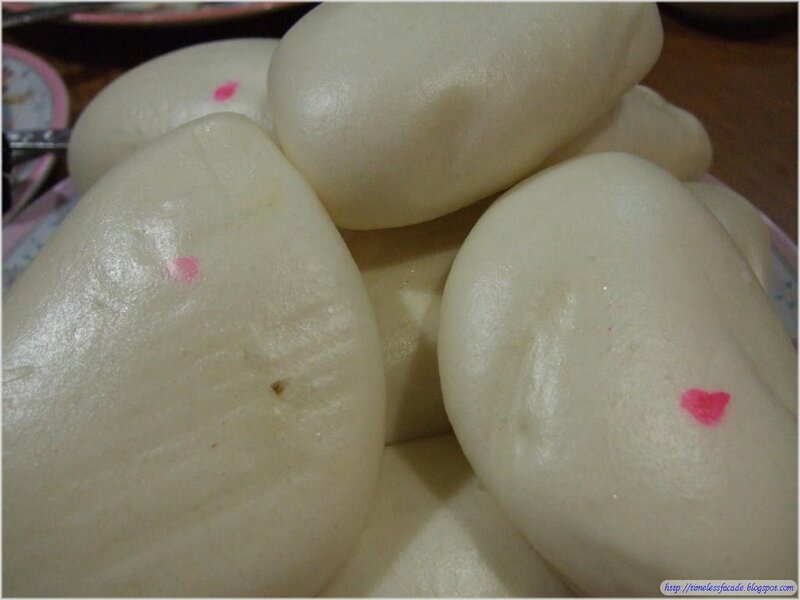 its awesome~ but pricey and gotta pre order it.. but trust moi~ its worth it ^_^ yummilicious! ps: usually we get too full by the time we eat our way thru the 8th dish outta a 10course set.. x_X *slurp!